Whether it's for a special occasion or just a bit of self-indulgence, everyone enjoys cracking open a bottle of bubbly once in a while. For most of us it just involves going to the local store and buying whatever brand they have on special offer, but for those people who have more money than sense, they can go to a bit more effort. I've heard stories of rich Russian women who bathe in champagne (and I thought my luxurious bubble bath was expensive!) - I'm just hoping that they don't use any of these brands, as each bath would end up costing more than my house. Hell, some of these bottles sold individually already cost more than my house. I guess when you have more zeros at the end of your bank balance than you can count, what better thing is there to spend your money on than quality fizz? Continuing the theme of the most expensive things in the world, you might also be interested in reading about some of the priciest vodka brands available, or perhaps you're more interested in tequila? 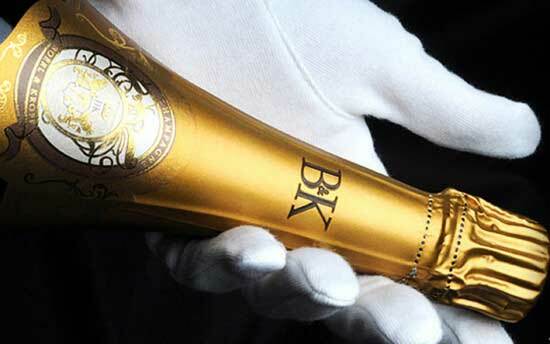 Drappier, the famous champagne house, is the brains behind the Boërl & Kroff brand. Reportedly, Michel Drappier chose the best of the best berries from his vineyard for this new brand. You know you're getting top quality champers when they use the super grapes instead of the standard grapes. A single bottle of this will set you back $2,489, but if a single bottle doesn't cut it, one website sells 30 liter bottles. All for a whopping £71,856 each...that's about $42,000! You can tell this is an expensive bottle of champagne just by looking at it. The champagne is made using Pinor Noir grapes, so it's effectively a (very posh) red sparkling wine. 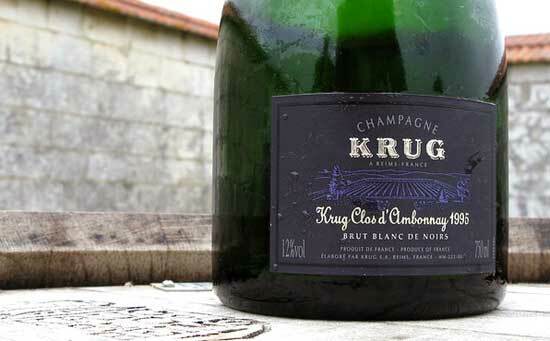 It's made by the Krug champagne connoisseurs, which is owned by a company run by none other than Louis Vuitton and Moët Hennessy! I'm as surprised as you are to find out that you can buy designer champagne to match your designer outfit. Of course, it comes with a designer price tag, too - a single bottle comes in at $3,500.